This week I'm starting to get that urgency that you get during the holiday season, you know where it seems there is so much to do, in such little time, yet you still want to soak it all in somehow? I'm seriously anticipating that whole week off from work I'm taking for Thanksgiving, as well as having all the pumpkin pie I can eat! Gotta love this time of year! So today I've got some festive favorites to share with you and the Five on Friday ladies! My amazing, thoughtful husband gave this baby to me as an early Christmas gift so I could learn how to use it and take photos while we're visiting my family for Thanksgiving. It means so much to me to be able to take nice photos with them since I won't be there for Christmas! That means this weekend I've got some light reading with oh... 300 pages... of the manual, plus all of the photography tutorials I've been bookmarking online! Did I mention how much I love my husband, and not just for his impeccable gift giving abilities?! I've practiced taking photos (and love it so far) but haven't learned how to get them on my computer yet. If any of you have a DSLR, what are your favorite lenses or accessories? I'm thinking a remote, tripod, and definitely a camera case for now. 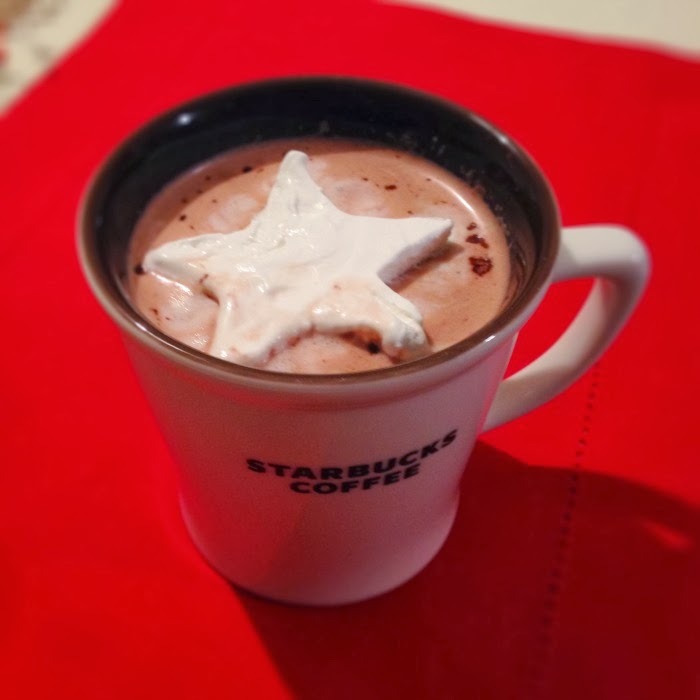 One of the first photos I saw on Pinterest was this hot chocolate. All you have to do is spread cool whip cookie sheet or any small pan, freeze it, then cut out with a cookie cutter in a fun shape. (I lined my pan with parchment paper first so I could lift the cool whip out of the pan and cut it more easily) Ruby and I had a lady/pup date this week and we sipped on some hot chocolate while the dogs played. Perfection! I'm planning to put together a little hostess gift for our Thanksgiving dinner hosts. Anything beyond the booze isn't really necessary if you're eating with family, in my opinion, but I decided to get creative with it anyway. 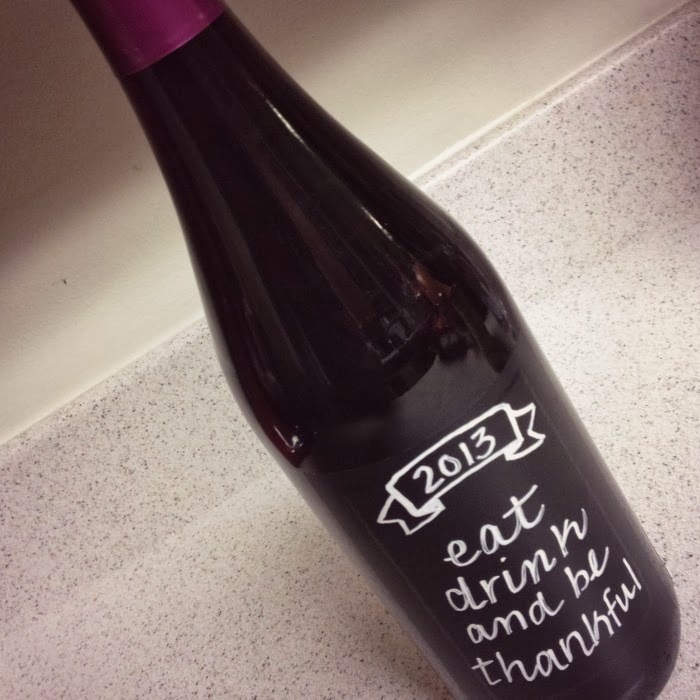 The goodies will include: a bottle of Pinot Noir with a DIY chalkboard label (obviously since that is in the photo), some of my favorite pumpkin granola, a cute wine stopper, and a festive kitchen towel. Easy to put together, easy on the wallet, and a great gift for anyone. FIVE: Thanksgiving Link-Up next week! I'm so excited to host my first link-up next week! I hope you will all join me in sharing your favorite Thanksgiving recipe on Tuesday, November 12th! I'll also have the link open for a couple of days so you can join later if you forget. I'm really looking forward to seeing everyone's favorite recipes and maybe adding a few new ones to our menu this year! You can either save the button above or wait until the day-of, where I'll have the html code for you. With all of that excitement this week... we have zero plans for us this weekend, which is awesome. Anyone have anything fun going on? I hope you have a good one! I can't control myself when it comes to Christmas decorations! haha me either! I've been picking up new decor every time I go out, my husband thinks I'm crazy! That cool whip trick is pretty cool! Love the new camera! I love so many things about this post!! The hot chocolate cool whip is so fun & I am definitely stealing the chalkboard label idea :) Congrats on the camera- such a sweet idea to give it to you early! Thank you Lauren!! :) My husband is definitely good to me! Definitely give the hostess gift and hot chocolate a try!! You'll love your new camera! Looking forward to the Thanksgiving recipe link up!! Also, LOVE the hostess gift idea!! Happy Friday! I'm going to have to try that hot chocolate! Such a cute idea! Yay for your new camera! I wish we were closer....I'm teaching a photography workshop this weekend. And those chalkboard labels are too cute! remote and tripod are a must have! I have the same camera and am still learning...I'm slowly, slowly getting the hang of it! We have zero plans too and I am SO EXCITED ABOUT IT!!! Love the hostess gift idea! Hey Kelly! 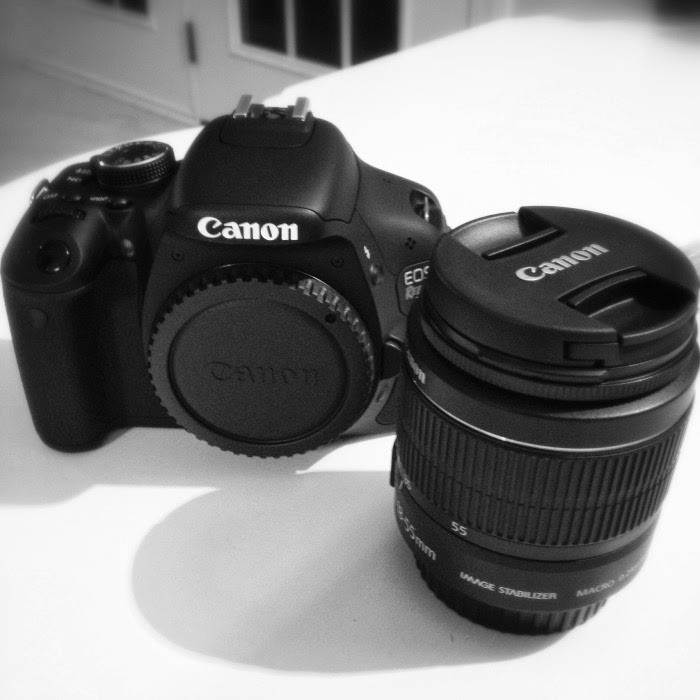 It's a Canon Rebel T3i, I added the link to Amazon by the photo :) I'm loving it so far, its much more user friendly than I expected! You are going to LOVE your camera! I recommend a tripod, wireless remote and a 50mm or 55mm lens. Youtube tutorials and a book don't hurt either! 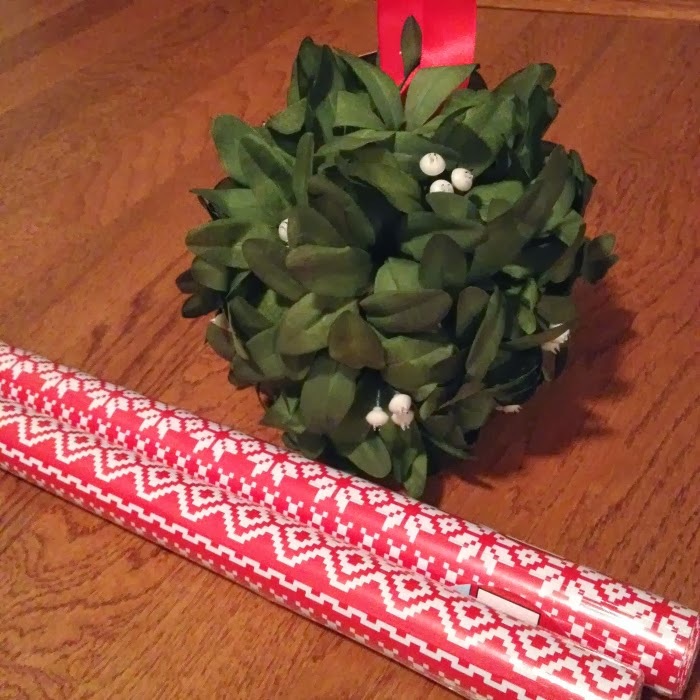 I adore all of this for fun festive things! And YAY for early Christmas presents!!!! I got the Nikon for an early birthday gift. I am never going any other way than DSLR haha. YAY for early Christmas presents! How exciting is that! I have a [slightly] old Nikon DSLR camera and I would say a tripod and camera case or bag are definitely on the to get list! I don't have a remote but that might be something great to look into! Hello from the link up! Big girl cameras rock! We got one this summer and I'm pretty much obsessed. Pinterest has lots of easy tutorials to get started on shooting in manual mode. Have fun!